This piece dates to 1924 and was decorated by Anna Francis Simpson. AFS is generally considered to have been one of the best artists at the Newcomb College. 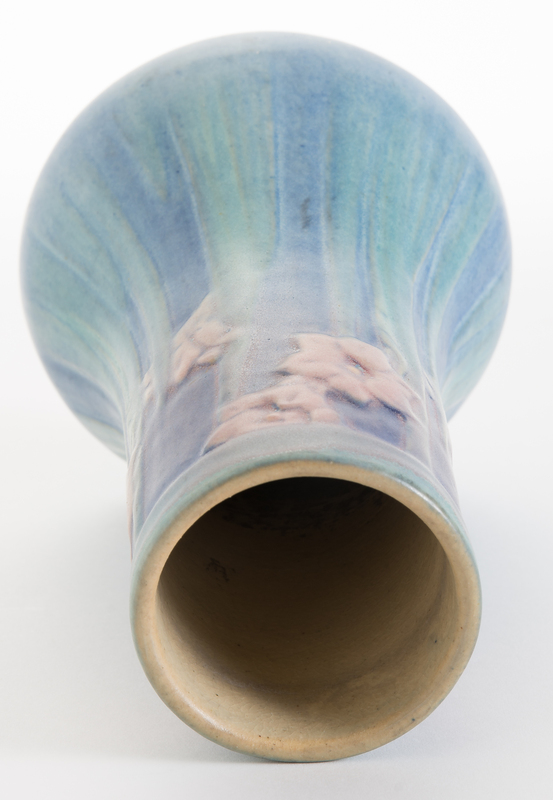 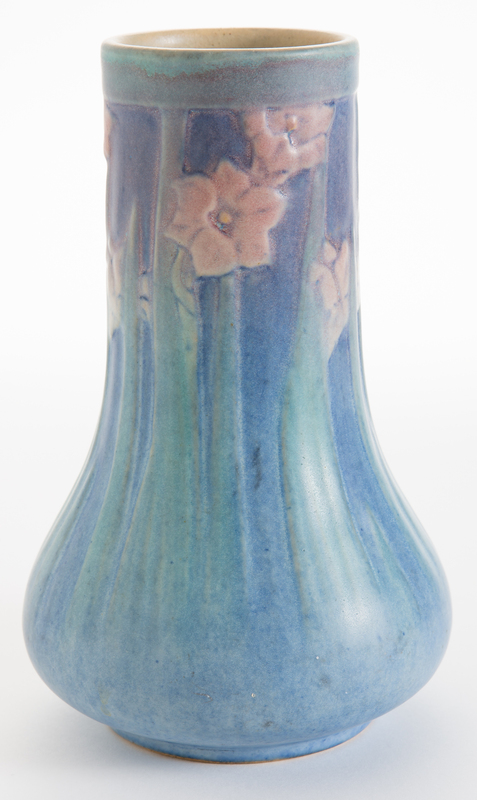 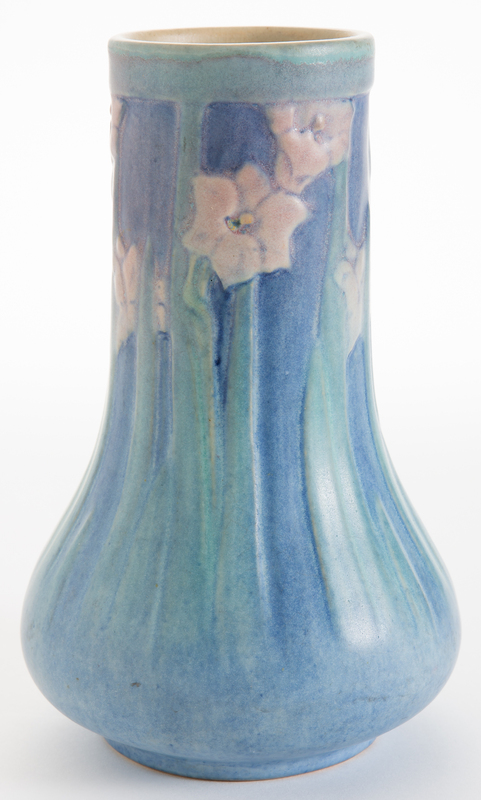 The vase is decorated with pink daffodils in bloom between green grass blades and a blue background. 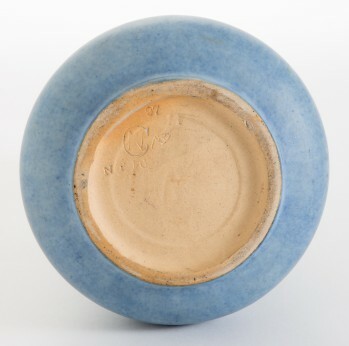 Underside of base has traditionally Newcomb markings. 7" tall.